Summit International Corp, Salt Lake City, Utah, U.S.A. 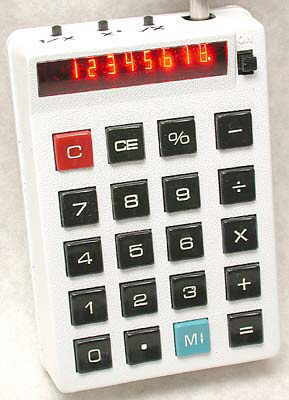 Summit calculators were manufactured during the early to mid- 1970s. See the article "Summit: a Man and the Idea" in the Collecting Calculators section of this site. A typical chunky calculator from Summit. There is not enough room on the front for some of the buttons so these have been added to the top edge. This model dates from about 1972. For further photographs of Summit hand-held calculators see the Calculator Photo Library on this site.